Explanation: During April and May, attention has been focused on the western evening sky, presenting its spectacle of bright planets and crescent moons shortly after sunset. Meanwhile, the the Sun itself has not been just sinking quietly below the horizon. For example on May 2nd, two enormous clouds of energetic particles blasted away from the solar surface in nearly simultaneous eruptions. 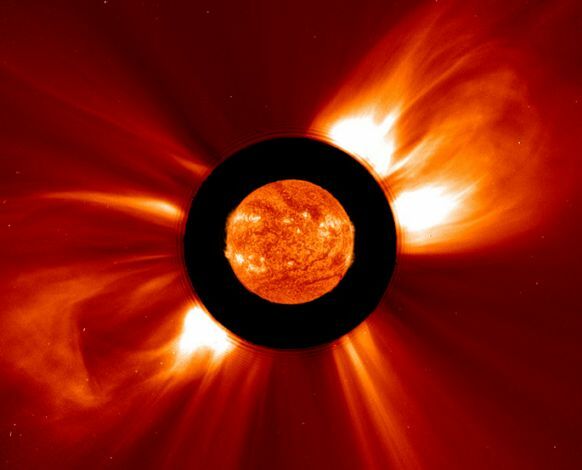 Known as coronal mass ejections (CMEs), they appear as large "bubbles" oriented at about 2 o'clock and 8 o'clock in this composite image from cameras onboard the sun-staring SOHO spacecraft. At picture center, an extreme ultraviolet image of the Sun recorded near the time of these eruptions has been superimposed for scale. The blank region surrounding it corresponds to an occulting disk in one of SOHO's coronagraphic cameras. Speeding outward at millions of kilometers per hour, these two CMEs missed our fair planet. 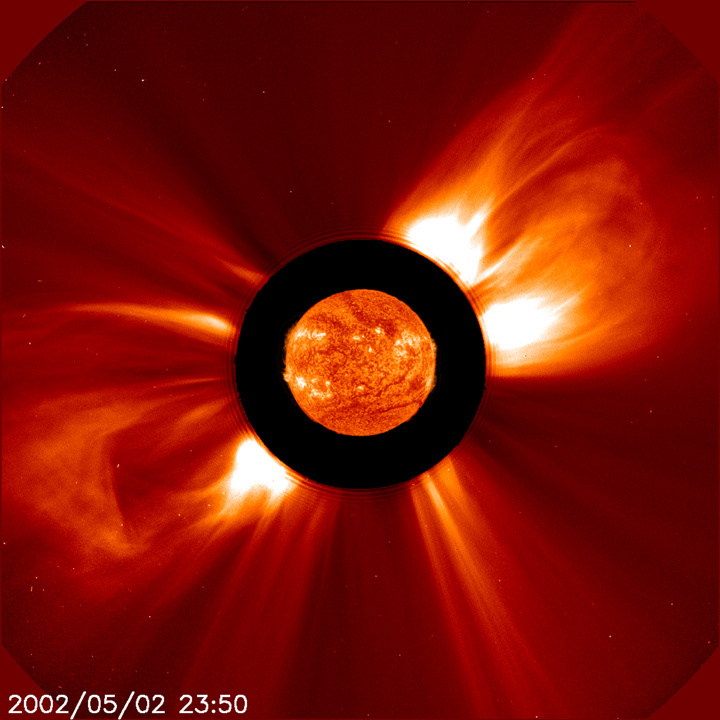 But those that do impact Earth's magnetosphere often trigger auroral displays and disruptions.